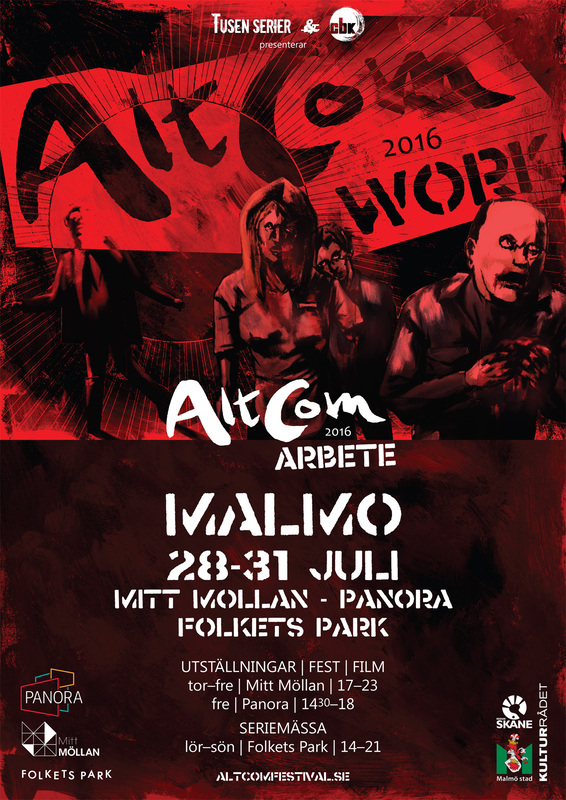 As you may know, we are organizing the AltCom 2016: WORK comics festival together with Tusen Serier on July 28-31 in Malmö. You can find the program for the festival here. 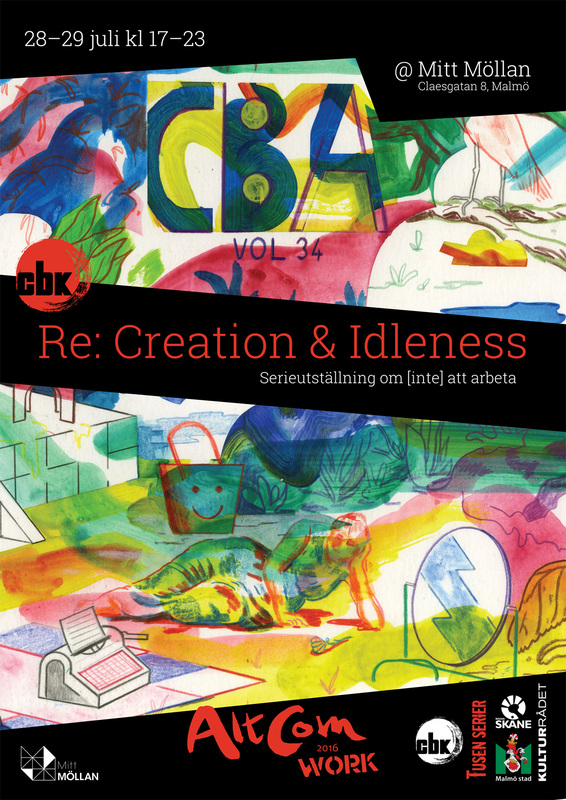 One of our contributions will be the release/exhibition for the new CBA vol 34: Re: Creation & Idleness. @ Mitt Möllan, July 28-29, 17-23. It’s time to put on your leisure suit and get to work on whatever. Whatever you want. Whatever. Is it working? No! It’s not working at all. Maybe it’s a sci-fi utopia. Or is it a fantasy? It’s all the time in the world. Odd moments are even. Time is money and everyone’s a billionaire. Spare some time? Here: free time for everyone! High quality time! No work and all play. CBK organized the first AltCom back in 2004 as a one-time event, then it was turned into a full-scale comics festival and run by the Swedish Comics Association in 2010, 2012 and 2014. And now it’s back with us and Tusen Serier. There will be exhibitions, films and a comics fair. 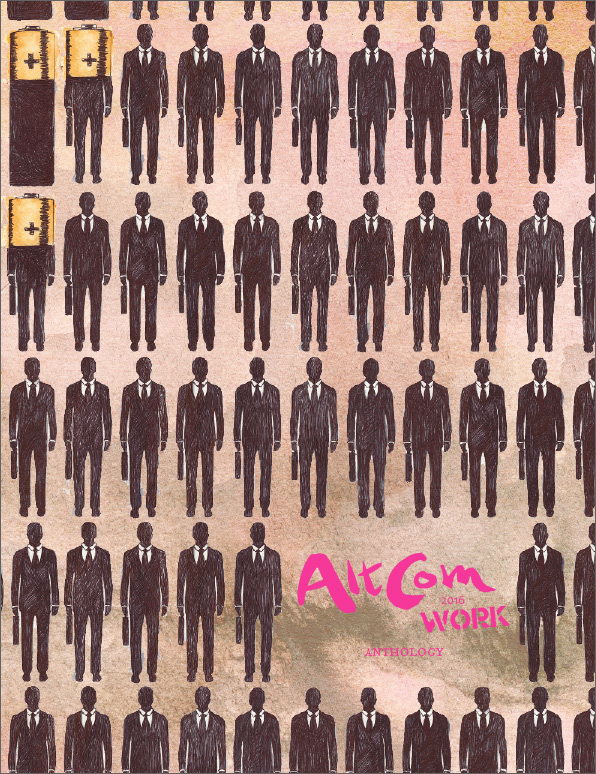 During all of the festival, we will also give out the AltCom 2016: WORK anthology for free. The book features an assortment of international artists, many of whom have been published in CBA over the years. Cover illustration by Kinga Dukaj. And of course we will have a table and sell our books at the comics market on July 30-31 in Folkets Park. 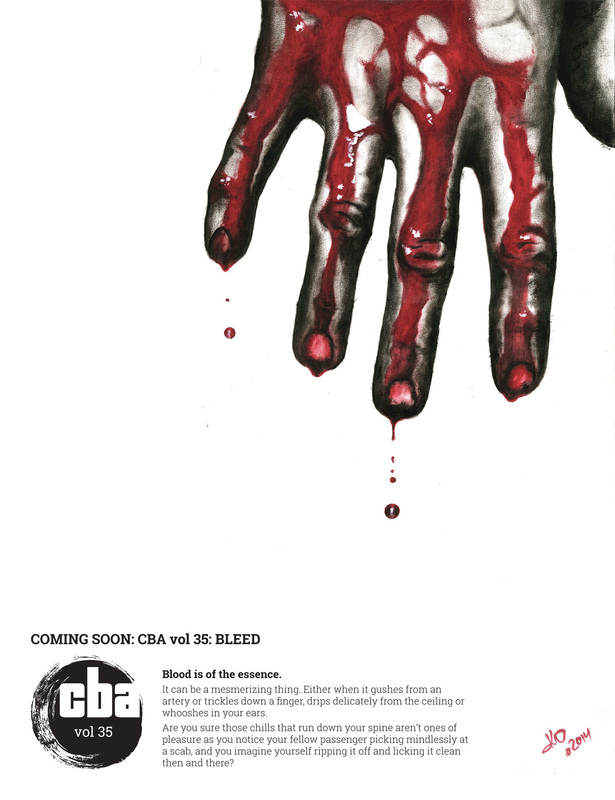 On another note, CBA vol 35: BLEED has its submissions deadline on August 1, so if you have an amazing comic with lots of blood lying around, don’t hesitate to send it to us (see our submission guidelines for instructions). Previous Previous post: Special offer: Become a member now for half price!